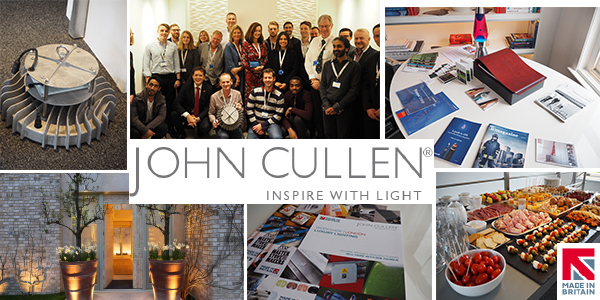 Made in Britain has completed its first-ever central London marketing & sales event at John Cullen Lighting on the Kings Rd, Wed 11th Oct, with a record 48 businesses involved in the 5th of 7 regional workshop for 2017. 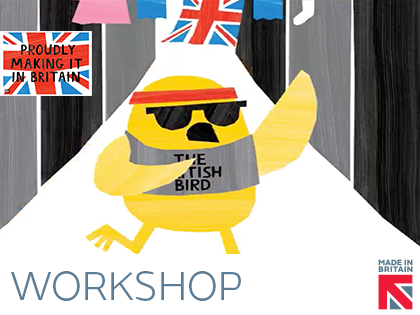 You can book your place for the next two workshops here. 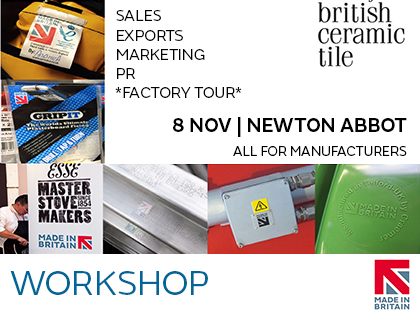 Members get together to learn from UK's top marketing experts, share their stories and sell more of their British-made goods, with 11 MiB members supplying products, point of sale, brochures and PR carrying the MiB marque. Members attending in person pitched their manufacturing business to other members via the SHOWCASE and on the madeingb.org website and Directory. Special guests at the London workshop included Stephen Tokley from the Crown Commercial Service, explaining how members can improve their chances of a successful sale to HM government and local authorities. Robin Scher, SME Manufacturing specialist at Lloyds Bank presented the latest Lloyds global trading and export insights with the unique ITP Trade Portal, which MiB members can have access to, without having to bank with Lloyds. And Sue Peacock, Head of Design at Roman Ltd demonstrated the 100s of ways her company is using the marque on all its on-line, social and print media. Members were also able to sign up to host a MiB workshop in 2018 - Tratos Ltd and Axion Polymers have both registered to host special events at their factories next year. There are still two more workshops for members to join.